Organic green tea including 1.5 tonne of “Shwe Pi Oo” and “Moe”will be exported to Germany in September according to U Hla Baw, president of Pindaya Tea Cluster (PTC). 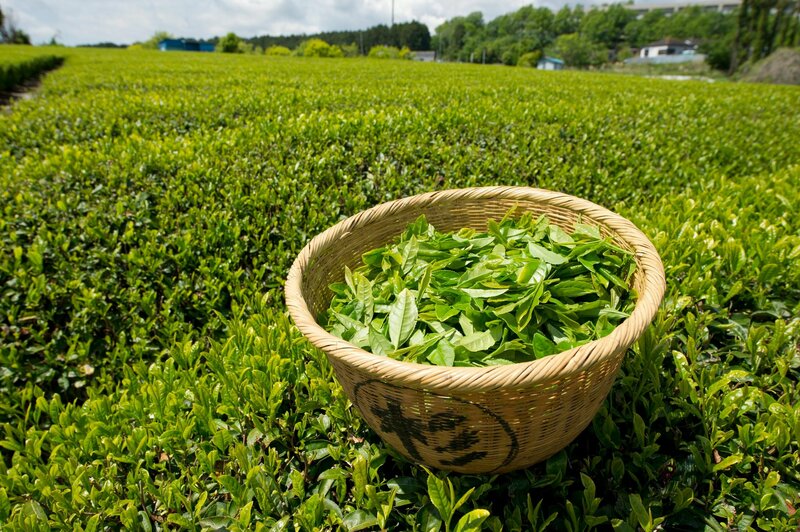 PTC has set the price of green tea at K15,000 per viss (1.6 kilogrammes) for sale to Germany; the current local price is around K12,000 per viss. On the eastern front, Palaung tea grower and sellers association is preparing to export green tea products to China. The tea is named after the time of the harvest – “Shwe Pi Oo” is harvested during March and April , “Khar Kan” during May and June , “Moe” in July and September, and “Hnin Thit” in November and December. 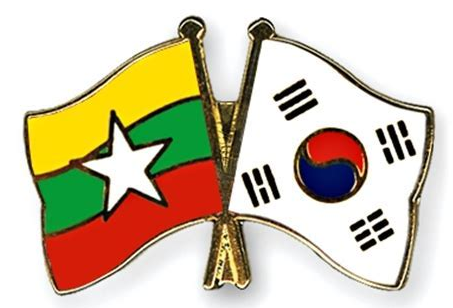 Myanmar will raise efforts to boost trade with the Republic of Korea, said U Aung Soe, Permanent Secretary of the Ministry of Commerce (MOC) during an event to promote local agriculture exports to South Korea on February. The event was hosted by the Union of Myanmar Federation of Chambers of Commerce and Industry (UMFCCI) and Korea Myanmar Research Association in Yangon. 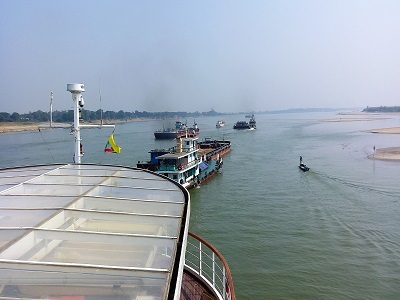 Myanmar currently exports sesame, some marine products like soft shell crabs and fruits to South Korea, where demand for grain, beans and pulses and vegetables are also high in demand. As such, the two countries should raise trading of such agriculture products, said Professor Young-Jun Choi from Kyung Hee University in Korea. In 2017-18, trade between Myanmar and South Korea totaled more than US$790 million. Myanmar exported over US$300 million worth of goods to South Korea and imported over US$495 million, according to the MOC. “The Muse rice depot will be temporarily closed from 1 to 12 February. The export of rice will completely stop because there are no Chinese traders to purchase rice from Myanmar. They have already returned to their native regions. The only thing we can do is store the bags of rice at warehouses,” said U Min Thein, vice chairman of the Muse rice depots association. “Myanmar mainly exports some agricultural products to China via the Muse border trade camp along the Myanmar-China border. During the Chinese New Year, exports of rice, sugar and corn, which are mainly exported to China, will be completely stopped”, he added. Although there will be regular sales of rice in the market, the price of rice is likely to decline because of the three year imposition of taxes on exported rice by the European Union, said U Than Oo, secretary of the Bayintnaung commodity depot. “There will be no sale in the market during the New Year holidays. On the other hand, the price of rice has been declining since Myanmar was faced with economic sanctions imposed by the EU. Therefore, the merchants are only storing rice by purchasing it at a lower price,” said U Than Oo. The volume of rice exports has declined since October 2018 because of the intensified crackdown on Myanmar’s exported rice in China, according to the Myanmar Rice Federation. From April to December 2018, Myanmar exported over 1.7 million tons of rice to China, a decrease of over 800,000 tons of rice compared to the same period last year, according to the official statistics released by the Myanmar Rice Federation. Last year, Myanmar exported over 3.6 million tons of rice, nearly half of which were exported to China through the border gate. Myanmar is facing a glut of areca, or betel nuts in border trading areas near India due to an influx of the product from Indonesia even as the Indian government continues to limit the import of agricultural goods from Myanmar, traders say. Areca nuts were a major export to India via the Tamu border trading point in Sagaing Region, and the Rhi border trading point in Chin State, until India decided to close its border gates and crossings. As part of a preferential trade agreement, India used to allow the tariff-free imports of areca nuts from Myanmar via the Tamu and Rhi trading gates. However, a year ago, India imposed a tariff of 40 percent on the product after it said areca nuts from Indonesia were entering the country via Myanmar. As part of efforts to control the inflow of the product, the Indian government also began closing border crossings. Since last May, the Indian government banned vehicles from crossing the Myanmar-India border bridge in Rih Khaw Dar which is part of the Rih trading route in Chin State. Meanwhile, the Tamu border trade station in Sagaing Region has been closed for nearly two months, bringing trade to a halt said traders there. “The situation is very bad. Due to the large quantities of nuts from Indonesia, the prices of our Myanmar nuts fall and transaction drop. 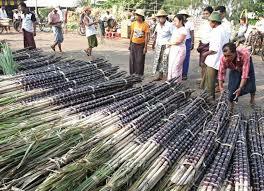 Myanmar traders have to buy and sell to each other instead of across the border. 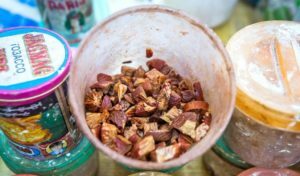 Profits have dropped drastically as the India side is closed and transactions have totally stopped,” said a nut merchant in the Tamu border area. EU investigations found that Myanmar’s Indica rice is causing economic damage to European producers and the custom duties will protect producers in the bloc. The import duties will be gradually reduced over a period of three years. The rate will be at €175 (around US$200) per tonne in the first year, which will be lowered to €150 per tonne in the following year, and then to €125 per tonne in the third year. The rise of low-price imports has resulted in serious damage to EU’s rice sector to a point where their market share in the EU dropped substantially from 61 percent to 29pc. Fuel prices in Myanmar have rocketed recently, but Myanmar Petroleum Trade Association (MPTA) would not control the fuel prices, according to Dr Win Myint, secretary of MPTA. 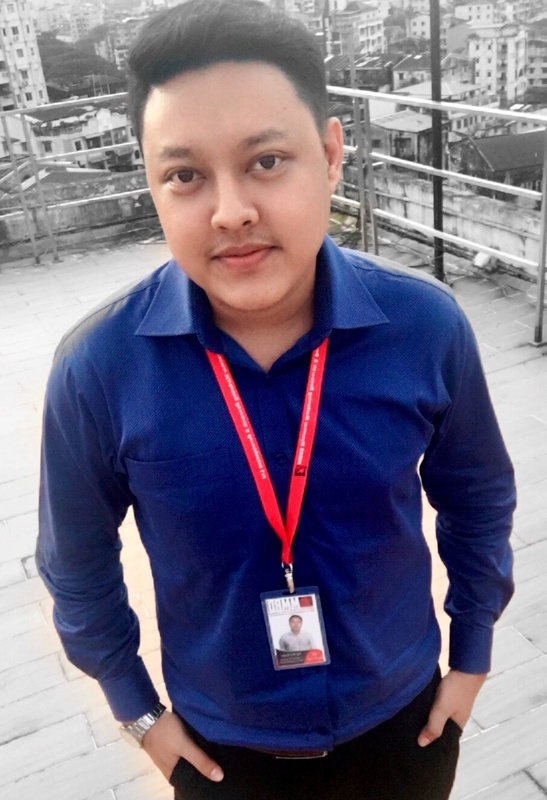 Changes in Myanmar’s fuel prices depend on the international fuel prices and dollar exchange rates, but association is selling fuel with suitable prices, according to Dr Win Myint. Petroleum businessmen have to compare the bank interest rate and profit before importing the fuel from abroad, and they are selling fuel with suitable price by comparing with global oil prices, he said. 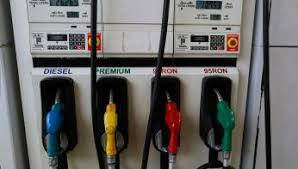 Fuel prices in local market have increased over 12 percent in more than 2 months. In June, 1 liter of Octane 92 Ron was 870 Ks and it reached to 975 per 1 liter in September 11th, and premium diesel reached to 915 Ks per 1 liter. CMP garment orders placed by EU countries have doubled this year, said Daw Khaing Khaing Nwe, Secretary of Myanmar Garment Entrepreneurs Association. Last year’s garment order amounted to around US$90 million. This year, the EU’s order reached around US$180 million. CMP garment sector will have good prospects if the relations between Myanmar and the EU countries remain unchanged, said Daw Khaing Khaing Nwe at the Myanmar-Korea Investment Seminar at Lotte Hotel in Yangon. Most of garment factories are from South Korea, but most garments go to the EU market. During four months this year, CMP garment sector earned over US$1.4 billion, up US$704 million compared with the same period last year, according to the commerce ministry. 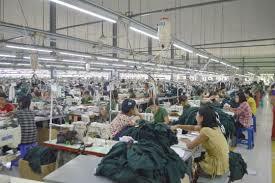 Currently, Japan, South Korea and EU are importing CMP garments from Myanmar. The government will temporarily stop issuing sugar re-export licenses in anticipation of the local sugar cane season, according to a senior official from the Ministry of Commerce. Issuing of re-export licenses will continue until September 22, after which the government would no longer issue re-export licenses, according to the Directorate of Trade under Ministry of Commerce. But sugar industry players said the September 22 cutoff date is already late as there is an existing glut in the market. Sugar warehouses in Yangon, Mandalay and Muse have abundant stocks of the commodity, with an estimated surplus of 300,000 tonnes. The current price of sugar has fell to K660,000 per tonne compared with the K850,000 per tonne before sugar imported from foreign countries through the re-export system flooded the local market.